Independent bottler Douglas Laing & Co. will launch a 21-year-old single cask Ledaig as the first in a new web-exclusive series of whiskies. 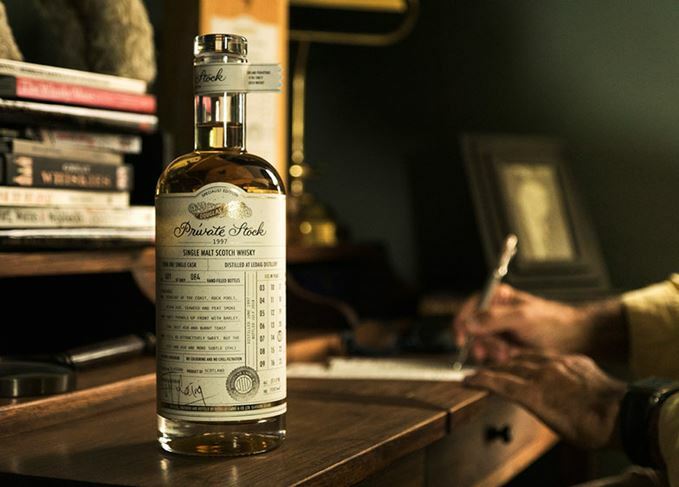 The whisky has been matured in a refill hogshead, and described as having flavours of ‘sweet phenols up front, with barley, peat and burnt toast’. Bottled at a cask strength of 51% abv, the whisky is ‘particularly limited’, with only 84 bottles scheduled for release. The Ledaig bottling is the first entry in Douglas Laing’s Private Stock series, a range of limited edition whiskies selected from the family-owned company’s private whisky collection to commemorate its 70th anniversary. Fred Laing, chairman of Douglas Laing & Co., which was founded in Glasgow in 1948, said: ‘Reaching our 70 years anniversary has meant not just a time for celebration, but a time for reflection. Each bottle will be signed by Laing and packaged in an illustrated wooden presentation box. The Ledaig single cask will be sold exclusively on douglaslaing.com for £124.99 at 9am on 31 August. All future entries in the series will also only be available online. The company also announced further details of its new Clutha distillery, visitor centre and headquarters in Glasgow this week. Douglas Laing & Co has revealed details of its £10m distillery in Glasgow. Douglas Laing has unveiled a Chocolate Edition blended malt with a ‘deep cocoa’ character.